Tropical storm Irene has formed in the Atlantic ocean. She should intensify and turn into a hurricane before slamming into Hispaniola. I have been watching this storm for the past week or so, and it is looking more and more likely that a tropical system impact our area. Current model guidance that shows 9-10 inches of rain falling in our area next weekend. This scenario would be devastating for everyone up and down the I-95 corridor. Also, Philadelphia has received more rain this August than any other month in recorded history. I am asking everybody in the Philadelphia area to keep a watch on this storm. 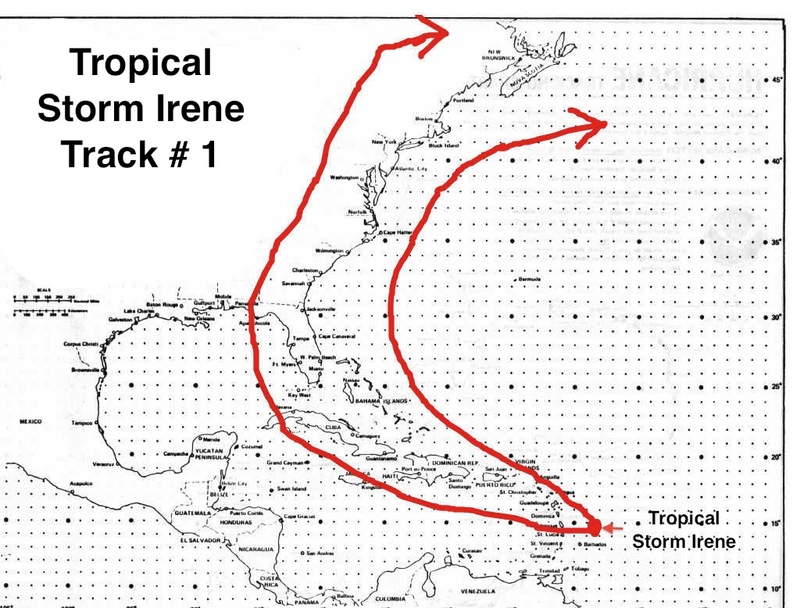 The current challenge concerning Irene is to decipher and use dozens of computer model runs, each showing a different track, in order to draw a path for this storm. Right now, Irene will strengthen rapidly and hit Hispaniola and Cuba. After that, most models send it toward Florida and then Northeastward up the Eastern Seaboard. Because this storm is still a week out, confidence is low on the exact track of the storm. 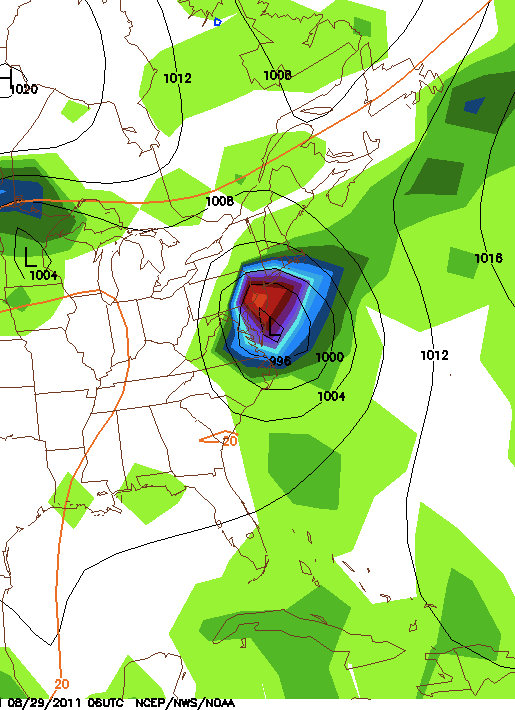 But I am confident that Irene will have an impact on our area next week. How much of an impact? Well, that remains to be seen. Here is my preliminary hurricane map. Because of the uncertainty of Irene’s track, I have made the cone very broad, putting in all outliers into account. I am confident Irene will pass between the arrows drawn. This cone will likely narrow as we progress through the week. I will update in a few days on the progress of Irene. Also, there is a slight risk of severe weather tomorrow. The storms will be similar to the ones we were hammered by on Friday. Agree with your track for the most part. Still a possibility (I guess) that it goes into the GOM, but I think it goes up the east coast in one way or another. Nice post.